This textbook is intended to serve as a practical guide for the design of complex digital logic circuits such as digital control circuits, network interface circuits, pipelined arithmetic units, and RISC microprocessors. 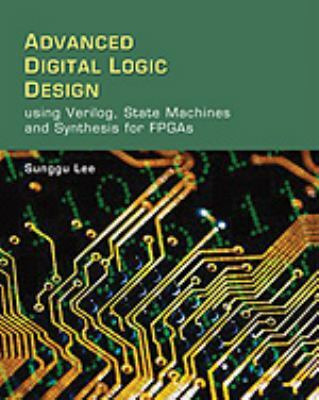 It is an advanced digital logic design textbook that emphasizes the use of synthesizable Verilog code and provides numerous fully worked-out practical design examples including a Universal Serial Bus interface, a pipelined multiply-accumulate unit, and a pipelined microprocessor for the ARM THUMB architecture.Lee, Sunggu is the author of 'Advanced Digital Logic Design Using Verilog, State Machines, and Synthesis for FPGAs', published 2005 under ISBN 9780534551612 and ISBN 0534551610. Loading marketplace prices 37 copies from $17.88 How does the rental process work?